After a long day at school, kids need to refuel with the right nutrition to power through their homework and after-school sports, and I have a little known A+ after school snack to share, a snack is so good it should be considered cheating. It’s juicy. It's fruity. And it’s packed with superfoods and 500mg of omega-3s. Bonus points: it’s crumb-less. 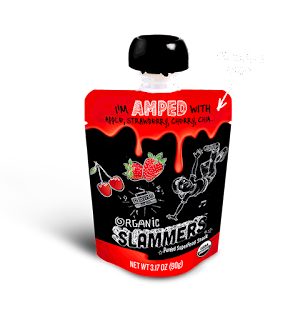 Perfect for after-school lunches and sports, Slammers Super Food Snacks by Go Gourmet just released a new Slammers Snack flavor for 2017: Amped. Created to be delicious, easily digestible, and instant fuel for active kids, Amped, in addition to their full-line of flavors, is packed with protein and nutrients to keep kids energized, fueled, and focused. 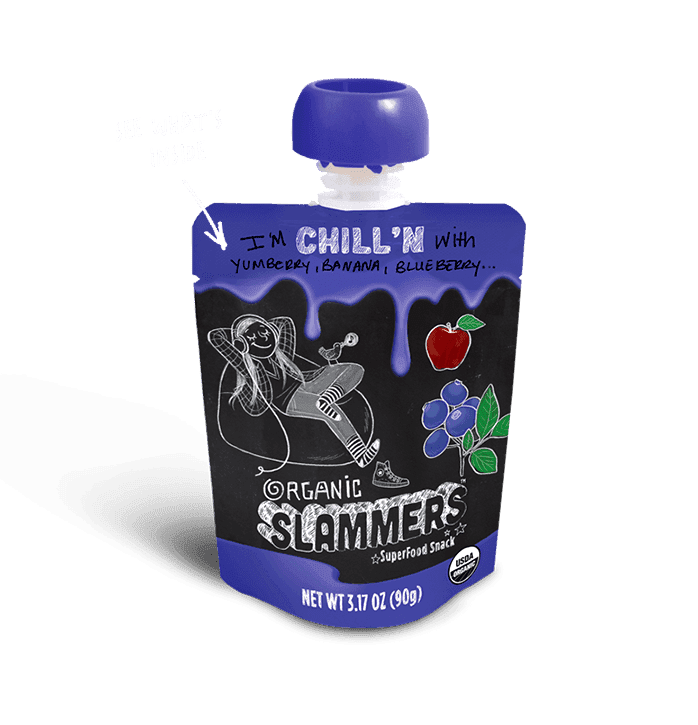 A smart snack to keep kids fueled and getting good grades, we would love to send you a variety of Slammers and hope you spread the knowledge. 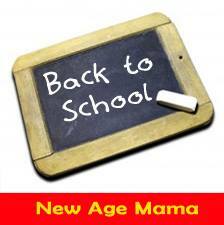 It's never to early to start planning for the new school year. Healthy snacks go hand in hand with the back to school season, and Slammers Snacks has you covered there! These tasty pouches are loaded with only good things, like fruits, vegetables, and ancient grains and come in a variety of tasty flavors. They taste great and they're good for you! Plus, they are made with organic ingredients! Pomegranate Grape Crush - As the name suggests, this super-fruit smoothie blends pomegranates and grapes, but there is also a healthy portion of apples and bananas. Each pouch is a full serving of fruit. Awesome - This one blends bananas, apples, blueberries, strawberries, beets, acai, and amaranth. Again, the fruits cover up the flavors that most young children may be opposed to. This way they get some veggies too! Watermelon Kiwi Burst - This one is made with apples, bananas, kiwi, and watermelon, and is a sweet treat kids are sure to enjoy. Chill'n - Finally, get a healthy dose of apples, bananas, blueberries, butternut squash, greek yogurt, and yumberry. The yogurt blend make this one my teen daughter's favorite. Slammers come in fun pouches that are perfect to store in your lunch box so you always have them when you're on the go. We tried a variety of flavors, and they were a huge hit. My kids range in age from six to seventeen and they all enjoyed the Slammers Snacks. For the little ones, it's fun to squeeze. The older kids love the sporty designs. This lets them enjoy them without being embarrassed by "babyish" characters. Whether you hand them out during summer activities or stick them in lunch bags, Slammers Snacks are the perfect treat for any occasion. 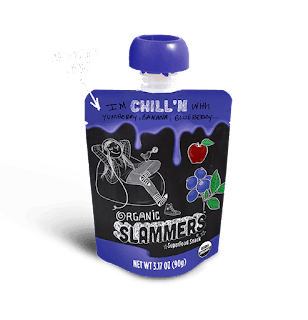 To learn more about Slammers Snacks and all the fantastic flavors they offer or to find a location near that sells them, be sure to visit their website or follow them via social media. Did you know you can get them ON AUTOPILOT AND ABSOLUTELY FOR FREE by registering on Like 4 Like? With respect to the preparation exercises, both equalization and high-impact exercises work superbly of veiling the science behind them and these are most likely Wii Fit's most noteworthy quality.I've never been a Big win mega888 credit tremendous devotee of World War 2 first individual shooters. Beyond any doubt I've leased Medal of Honor Airborne and past Call of Duty amusements and delighted in for a couple of hours; however I never had the tendency to get one.